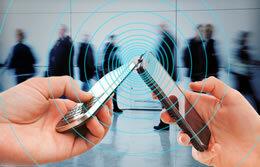 The NFC Forum has released its NFC Controller Interface (NCI) specification. The specification defines a standard interface within an NFC device between an NFC controller and the device’s main application processor. The new specification will make it easier for device manufacturers to integrate chipsets from various chip manufacturers and it also defines a common level of functionality and interoperability among the components comprised within an NFC-enabled device. Prior to the NFC Forum’s latest specification, device manufacturers had to create proprietary, device-specific interface controllers to manage interactions between the device’s CPU and the NFC chip. The significance of the NCI specification is simply this; manufacturers will have access to a standard interface that can be applied to any kind of NFC-enabled device they construct be it mobile phones, PCs, tablets, printers, consumer electronics or appliances. Building to a universal standard will also enable manufacturers to bring NFC-enabled products to the marketplace faster than ever before. The NCI specification allows for control and management of the RF communication function offered by a device’s NFC controller— which is implemented according to the corresponding NFC Forum specifications. The new NCI provides users with a logical interface that supports a number of different physical transports including UART, SPI and I2C. The NCI also supports routing traffic to other secure elements within the device such as ETSI-HCI or ISO/IEC 7816. The NCI specification is the latest addition to the Forum’s 21 published technical documents, which include certification, application and technical specifications documents. The new NCI specification is available for the public to download at no cost on the Forum’s website.